Wellington Phoenix Football Club is a New Zealand professional football club based in Wellington. It competes in the Australian A-League, under licence from Football Federation Australia. Phoenix entered the competition in the 2007–08 season after its formation in March 2007, by New Zealand Football to replace New Zealand Knights as a New Zealand-based club in the Australian A-League competition. The club is one of the few clubs in the world to compete in a league of a different confederation (AFC) from that of the country where it is based (OFC). Ernie Merrick was the head coach following the resignation of founding coach Ricki Herbert late in the 2012–13 season, until his own resignation on 5 December 2016. Andrew Durante has been the club captain since the 2008–09 season succeeding from the inaugural captain, Ross Aloisi. The club's highest achievement is reaching the A-League Preliminary Final in 2010. The club plays matches at Westpac Stadium, a 34,500-seat multi-purpose venue in Wellington. Their home kit consists of black and yellow stripes. During the later stages of the 2006–07 A-League season, Football Federation Australia (FFA) removed New Zealand Knights A-League licence due to the club's financial and administrative problems and poor on-field performance. After the resignation of the New Zealand Knights board, FFA transferred the licence to New Zealand Soccer (NZS, now New Zealand Football), which administered the club for the rest of the season before its subsequent dissolution. FFA then provided NZS a provisional A-League licence to sub-let to a suitable New Zealand team to enter the 2007–08 A-League season. FFA set an application deadline to NZS and subsequently delayed that deadline to give more time for potential applicants in New Zealand to apply along with NZS support. While NZS was given a chance to apply with a new sub-licensee, a Townsville-based consortium, Tropical Football Australia (TFA) also expressed interest and prepared an A-League application to replace the place previously held by the Knights. However, TFA eventually pulled out with the understanding of the FFA's preference to retain a New Zealand team for the league. TFA later resubmitted its bid in the following year as a potential A-League expansion franchise under the name of "Northern Thunder FC", which was later changed to "North Queensland Thunder", however this bid died after expansion for the 2007–08 season was cancelled. After much delay, the final amount needed for the application came from Wellington property businessman Terry Serepisos in the latter stages of the bid. Serepisos, the club's majority owner and chairman, provided NZD $1,250,000 to ensure the beginnings of a new New Zealand franchise and a continuation of New Zealand's participation in the A-League. FFA finalised a three-year A-League licence to New Zealand Football who then sub-let the licence to the Wellington-based club. The new Wellington club was confirmed on 19 March 2007. The name for the new club was picked from a shortlist of six, pruned from 250 names suggested by the public, and was announced on 28 March 2007. Serepisos said of the name, that "It symbolises the fresh start, the rising from the ashes, and the incredible Wellington support that has come out". Despite the backing of FIFA, AFC president Mohammed Bin Hammam stated that due to AFC criteria the Wellington team must move to Australia or disband by 2011. However, in an interview aired on SBS on 21 December 2008 FIFA president Sepp Blatter stated unequivocally that "It is not the matter of the Confederation, it is the matter of the FIFA Executive Committee... If Wellington will go on play on in Australian League, then as long as Australian league wants to have them and Wellington wants to stay (and) Both association in this case, New Zealand Soccer and Australian Football are happy with that then we will give them the blessing. The Confederation can not interfere with that.". In the 2009–10 season Wellington Phoenix became the first ever New Zealand side to reach the playoffs of an Australian Football competition when Adelaide United beat Brisbane Roar 2–0 in the 26th round. It meant that Brisbane, which before the match was the only team that was outside of the top 6 that had a chance of making the playoffs, no longer could. The Phoenix overcame the Central Coast Mariners on Friday the 12 February 2010 to finish fourth place which meant it would host a historic playoff game against Perth Glory on 21 February 2010. The Phoenix beat Perth by penalty shootout (4–2) after it was 1–1 after 120 minutes (90 plus 30 extra time). Phoenix then hosted a home game against Newcastle Jets on 7 March after the Jets won its away game against Gold Coast United by way of penalty shootout (5–6). The Phoenix won in extra time 3–1 after it was 1–1 after 90 minutes. In the Preliminary Final against Sydney FC, the Phoenix lost 4–2 in controversial circumstances. After being locked at 1–1 through goals from Chris Payne for Sydney and Andrew Durante for Wellington, Payne apparently missed a header and deflected the ball into the goal off his hand. Andrew Durante, who was marking Payne went straight over to the linesman, but the goal stood. "I went straight to the linesman. I knew 100 per cent it was handball. I spoke to the ref at halftime about it and he said it wasn't deliberate. It's pretty funny that one. Such a big game and such a big occasion, for something like that to change the game is very disappointing." Sydney FC strikers Alex Brosque and Mark Bridge both scored break-away goals as Phoenix pushed forward. Eugene Dadi then added a late consolation goal. Phoenix striker Chris Greenacre said that it changed the dynamics of the game. "It just rips the heart out of you. We got back in the game with a good goal and that takes it away from you. It wasn't to be. I think we were right back in it. They played some good football but I thought we had withstood it OK. If we went into halftime [at 1–1] we were really confident we could get something out of it." Coach Ricki Herbert echoed those statements. The loss brought the end to the Phoenix's season, meaning that Melbourne Victory and Sydney FC would compete in the Grand Final. On 20 April 2010, FFA granted Wellington Phoenix a 5-year licence extension, keeping it in the competition until at least the conclusion of the 2015–16 season. Many argue Wellington's ability to play in the A-League as being instrumental to the progress of the New Zealand national side and the wider football landscape. Prior to the 2011/12 season it emerged that Serepisos was experiencing financial difficulties, both personally and in the property empire. This included highly publicised action by the Inland Revenue Department to liquidate a number of Serepisos' companies for unpaid taxes, including Century City Football Ltd, the club Serepisos owned the Phoenix through. Initially Serepisos claimed he had obtained finance through Swiss-based lenders, then announced he had agreed to a deal with Western Gulf Advisory, the Bahrain-based lender owned by Racing Santander owner Ahsan Ali Syed which would see 50% of the club sold. However these funds were never received and the partial transfer never took place. While the liquidation action was resolved through an unnamed third-party Serepisos' financial troubles did not end. Despite this he stated he would not give up ownership of the club. Additional stories also emerged that coach Ricki Herbert was personally owed $100,000 in unpaid wages by the club. However, on 23 September 2011, it was announced by Serepisos and the FFA that Serepisos had relinquished ownership of the club as a result of his ongoing financial difficulties. The club's licence was passed by the FFA to a new consortium of seven Wellington businessman headed by Rob Morrison and including Gareth Morgan, Lloyd Morrison and John Morrison. On 26 February 2013, with the Phoenix sitting in last place, Ricki Herbert resigned from the position of head coach. The Phoenix had endured a poor run of results in a season where they were expected to be challenging for the title. Assistant Coach Chris Greenacre took the reins on an interim basis for the remainder of the season. Following a 'worldwide search', Ernie Merrick was announced as the new Head Coach on 20 May 2013. Merrick had 6 successful years at the Melbourne Victory, and this A-League experience was seen as important. Merrick will once again become the most experienced A-League coach in the coming season, retaking this from Herbert who passed him towards the end of the 2012–13 season. Greenacre was retained by Merrick as the assistant coach. On 5 December 2016, Merrick resigned as Head Coach following the Phoenix's 2–0 loss to Adelaide United. On 2 January 2017, Des Buckingham took over as head coach, while Chris Greenacre was made co-coach. On 1 March 2018, Wellington Phoenix announced that Darije Kalezic will be departing the club at the end of the season after they were not able to come to an agreement on how the club proceeds forward for the next season. On 30 May 2018, Wellington Phoenix announced the appointment of former Sydney FC captain Mark Rudan as manager on a two-year contract. Mark Rudan became the first ever Wellington Phoenix coach to win his first game in charge when the Wellington Phoenix were 2-1 victors over Newcastle Jets in the opening round of the 2018-19 season. Following Round 2 clash with Brisbane Roar which ended in a 0-0 draw, it was the best start the team has had since the 2012/13 season. They suffered their first defeat of the season in Round 3 going down 3-0 to Western Sydney Wanderers. The original logo for the club used between from the club's inception up until August 2017. The general consensus among Phoenix fans was for a kit featuring yellow and black vertical stripes, however this format did not comply with the A-League template required by Reebok at the time Phoenix was admitted into the League. Instead, players wore a predominantly black strip with yellow and white trim for the first two seasons. When Reebok lifted constraints on kit designs in 2009, Phoenix adopted yellow and black vertical stripes. The Phoenix currently have a four-year contract with adidas, and the 2011–12 kit retains the stripes on the front, but has a solid yellow back. The badge is a shield depicting a rising phoenix. The team's current kit sponsors are Huawei (front of kit), Carlsberg (back of shirt), Ricoh (front of shorts) and Revera (back of shorts). Wellington Phoenix FC has played most of its home matches at the Westpac Stadium (referred to as the 'Ring of Fire' by fans). The Stadium has a capacity of 34,500. The NZD$130 million stadium was built in 1999 by Fletcher Construction and is situated close to major transport facilities (such as Wellington Railway Station) one kilometre north of the central business district. The Stadium is owned and operated by Wellington Regional Stadium Trust. It is built on surplus-to-requirements reclaimed railway land on the waterfront. Home fans sit in the southern and western areas of the stadium, while away fans sit to the north. In the 2009–2010 A-League season, Wellington Phoenix FC played two home games away from Westpac Stadium, the first at Arena Manawatu in Palmerston North, the second at AMI Stadium in Christchurch. The two games were key to Wellington Phoenix expanding their fan base in New Zealand. This was followed by playing a game in Auckland at Eden Park in front of 20,078 attendees during the 2011–2012 A-League season. The Phoenix previously trained at Newtown Park, on a ground that was specially redeveloped in 2008 and separate to the playing pitch. This ground was shared with NZFC franchise, Team Wellington however in 2017 the Phoenix moved to Martin Luckie Park which had been redeveloped with two full-sized sand-based pitches. Funding for the redevelopment came from the Phoenix as well as $550,000 given by Wellington City Council. Crowd at the first game of the season, August 2007. 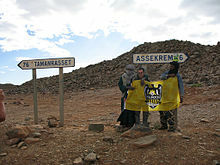 Wellington Phoenix has built a strong fan-base in Wellington, across New Zealand and amongst New Zealanders in Australia. The main supporters group, the "Yellow Fever", was founded a day after Wellington Phoenix was announced in the A-League. Yellow Fever founder Mike Greene met with the founder of New Zealand cricket supporter group the Beige Brigade to get ideas of how to get the group started. The name was originally chosen on the assumption that the new Wellington-based team would play in a yellow playing strip (yellow being the dominant sporting colour of the region). Although the eventual strip is primarily black, Yellow Fever elected to retain the name. As such, many Yellow Fever members wear yellow to fixtures as opposed to black, such as the popular "Retro Ricki" T-shirt. The Phoenix have since moved to a predominantly Yellow strip. The "Fever Zone" occupied by 'active fans' is in the rows between Aisles 21 and 22. Although Westpac Stadium is an all-seater facility, most Yellow Fever members choose to stand in front of their seat – similar to terrace seating traditions in British football. Yellow Fever is creating many traditions of its own. If the Phoenix is winning at the 80th minute mark members remove their shirts. Yellow Fever members also wear black and yellow Santa hats in the last match before Christmas. Also for the last home game before Christmas, the Yellow Fever organise a pub crawl, entitled 'The 12 pubs of Lochhead' after defender Tony Lochhead. Participants visit twelve pubs, beginning with Four Kings bar and finishing at the Backbencher bar. Many Yellow Fever members have also lent their support to other football fixtures in Wellington and New Zealand, mostly notably the NZFC's Team Wellington and the New Zealand national football team (known as the "All Whites"), for which Yellow Fever temporarily rebranded itself as "White Noise". Yellow Fever also lent its support to the New Zealand women's national under-17 football team during the 2008 FIFA U-17 Women's World Cup, held in New Zealand. The Yellow Fever website, YellowFever.co.nz, has evolved into a community page for New Zealand football in general. The site publishes non-Phoenix news involving football at local and national levels, as well as information on all New Zealand national teams and footballers. The site, as of 29 January 2010, had 5,795 registered users. The official podcast of Yellow Fever, 'Phoenix City', is hosted by Patrick Barnes, and features Cameron McIntosh and Andrew French as panellists. Regularly 'claimed' to be New Zealand's number one football podcast, the weekly recording often includes a guest interview and covers the Wellington Phoenix, the All Whites and other national teams, New Zealanders playing overseas, the ASB Premiership, and local club football, including the Chatham Cup. The Yellow Fever supporters have a strong relationship with their club due to their ongoing Youth Scholarship and Charity initiatives. Yellow Fever is the first supporters club in the A-League to organise and sponsor an annual footballing scholarship. The "Retro Ricki Youth Scholarship" was awarded annually to a promising young New Zealand footballer. Nominations for the scholarship are made by Yellow Fever members and the recipient is chosen by the Yellow Fever executive and Wellington Phoenix staff. The recipient receives a trial with the Phoenix, as well as travel and accommodation costs. Yellow Fever members have also combined charity campaigns with their support of the Phoenix, with supporters selling bandannas in the club colours every year as part of the youth-cancer charity CanTeen's "Bandanna Day" fundraiser. Yellow Fever members have also notably participated in the Movember movement since 2007, leading to the club itself participating as of 2008, and other Australian A-League clubs following suit in 2009. In 2010, Yellow Fever, The Dominion Post and local sportswear chain RYOS teamed up to release the "LifeFlight Shirt", a white T-shirt emblazoned with pictures of Phoenix players sent into the Dominion Post as part of a competition. 25% of the proceeds from the sale of these T-shirts were donated to the LifeFlight air ambulance service. ^ "Membership". Wellington Phoenix. Retrieved 11 October 2014. ^ "A-League owners to be offered far longer licences by Football Federation Australia". www.adelaidenow.com.au. 28 October 2013. Retrieved 2 April 2014. ^ "Shock! A-League decision delayed". Television New Zealand. Newstalk ZB. 14 March 2007. Retrieved 2 December 2011. ^ Burgess, Dave. "Wellington Phoenix - a tale of love, legacy". Dominion Post. Retrieved 23 September 2011. ^ "New franchise keeps NZ in A-League". Herald and Weekly Times. 20 March 2007. Retrieved 5 June 2010. ^ Voerman, Andrew. "What's in a name? It's been a decade since the Wellington Phoenix got theirs". Stuff. Retrieved 28 March 2017. ^ "NZ Phoenix to rise in A League". News.com.au. 28 March 2007. Retrieved 28 March 2007. ^ Musolino, Adrian (21 December 2009). "Long dark cloud hangs over New Zealand football". The Roar. Retrieved 21 December 2009. ^ Burgess, Dave (15 February 2011). "Serepisos liquidation threat on hold". The Dominion Post. Retrieved 2 December 2011. ^ "Phoenix secure new owners". FFA. Archived from the original on 26 September 2011. Retrieved 14 August 2014. ^ "Wellington Phoenix Now Owned By Wellnix". 3 News. 23 September 2011. Retrieved 24 November 2011. ^ Brown, Michael (23 September 2011). "'Magnificent Seven' take over Phoenix". Otago Daily Times. Retrieved 14 August 2014. ^ "Ricki Herbert Resigns As Head Coach". Football Federation Australia. 26 February 2013. Archived from the original on 5 March 2013. Retrieved 21 May 2013. ^ "Herbert's fate hangs on season-end review". Stuff.co.nz. 11 February 2013. Retrieved 21 May 2013. ^ "Merrick takes reins at Phoenix". Football Federation Australia. 20 May 2013. Retrieved 21 May 2013. ^ "Herbert survives despite lack of silverware". Stuff.co.nz. 5 January 2013. Retrieved 21 May 2013. ^ "Greenacre installed as Phoenix assistant". Stuff.co.nz. 23 May 2013. Retrieved 23 May 2013. ^ "Ernie Merrick resigns as head coach of the Wellington Phoenix". Newshub. 5 December 2016. ^ "Chris Greenacre and Des Buckingham to coach Wellington Phoenix until end of season". Stuff.co.nz. Retrieved 2 January 2017. ^ Hyslop, Liam (1 March 2018). "Wellington Phoenix coach Darije Kalezic confirms he is departing the club at season's end". Stuff.co.nz. ^ "STRIP SEARCH OVER FOR PHOENIX - Yellow Fever – Supporters of Wellington Phoenix FC". ^ "Beginners' Guide to the Wellington Phoenix". Media New Zealand. ^ Wellington, Westpac Stadium (14 June 2017). "Stadium Facts". westpacstadium.co.nz. ^ Geenty, Mark. "No potholes, no bumps: Wellington Phoenix boots finally touch the green grass of home". Stuff. Retrieved 24 January 2017. ^ Woodcock, Fred: Wellington football fans at fever-pitch, The Dominion Post, 22 March 2007. ^ Burgess, Dave (20 December 2010). "Yellow Fever fan keeps his shirt on". The Dominion Post. Retrieved 2 December 2011. ^ Chipp, Jim (13 January 2011). "Yellow Fever more than noise". The Wellingtonian. Retrieved 2 December 2011. ^ "Season Preview: Wellington Phoenix". footballaustralia.com.au. Retrieved 13 April 2014. ^ "In The Zone: The Official Podcast of Yellow Fever - Supporters of Wellington Phoenix FC by Yellow Fever on Apple Podcasts". Apple Podcasts. ^ "Yellow Fever's Phoenix Star Quest". FourFourTwo. ^ "Movember New Zealand". Movember New Zealand. ^ "Wellington Phoenix FC". soccerway.com. Soccerway. Retrieved 15 August 2017. ^ "Teams". Wellington Phoenix. Retrieved 11 October 2018. ^ Rollo, Phillip (17 October 2017). "Callan Elliot begins professional football journey with Wellington Phoenix". Stuff.co.nz. ^ "Edwards departs Navy Blues". Auckland City. Retrieved 1 August 2017. ^ "Phoenix Board Complete". Retrieved 6 July 2012. ^ "About us". Retrieved 26 March 2018. ^ "Community First For Phoenix". Retrieved 11 July 2012. ^ "Wellington Phoenix". Ultimate A-League. Retrieved 25 November 2018. Wikimedia Commons has media related to Wellington Phoenix F.C..